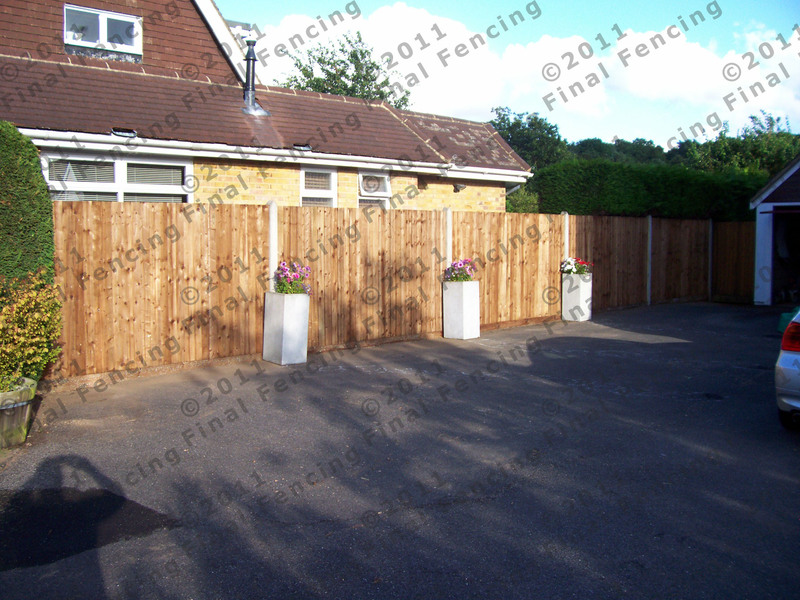 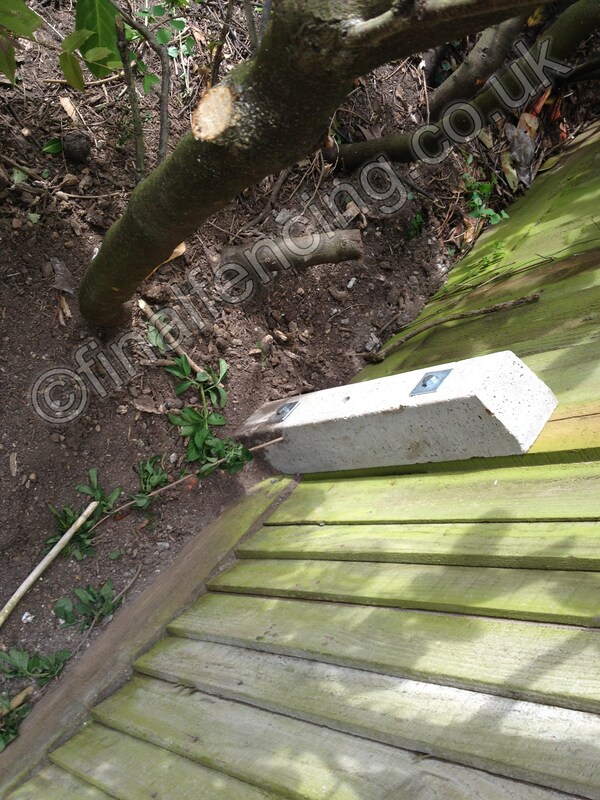 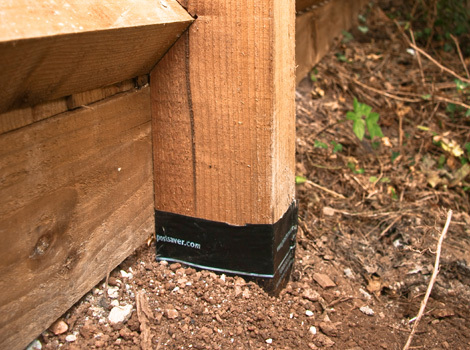 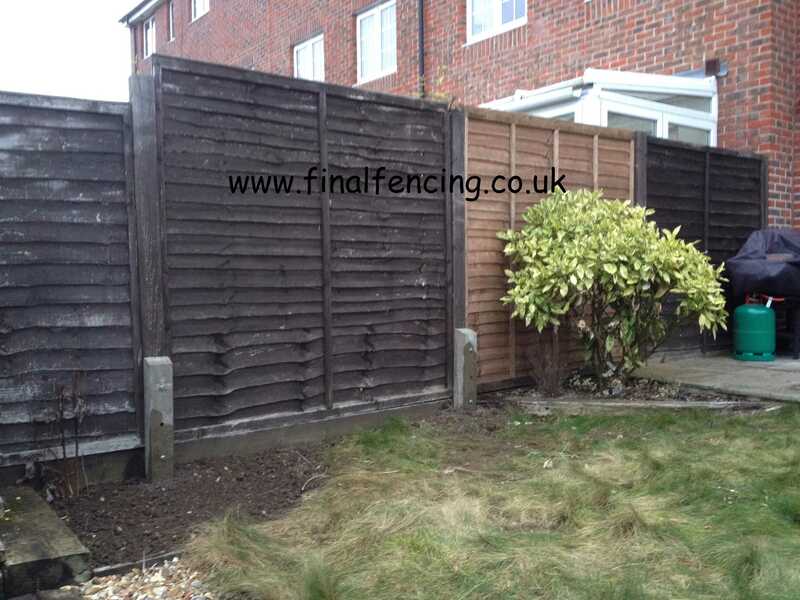 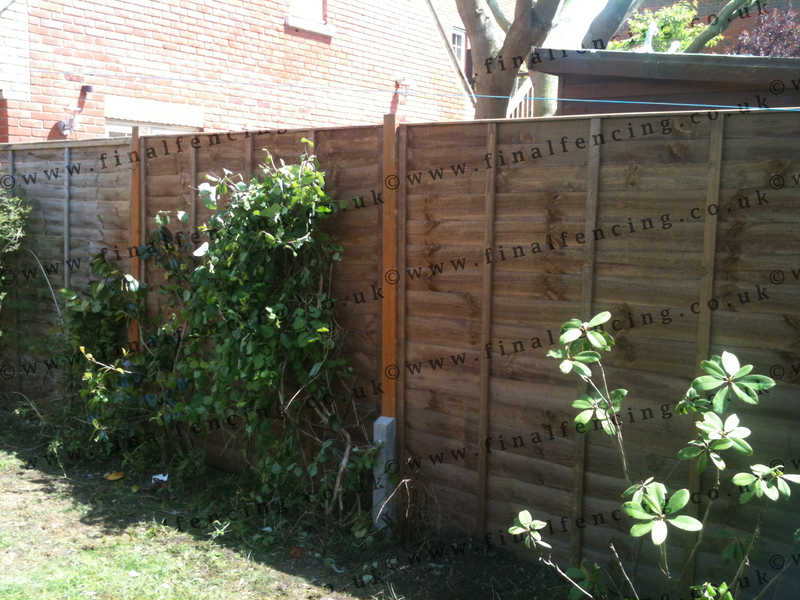 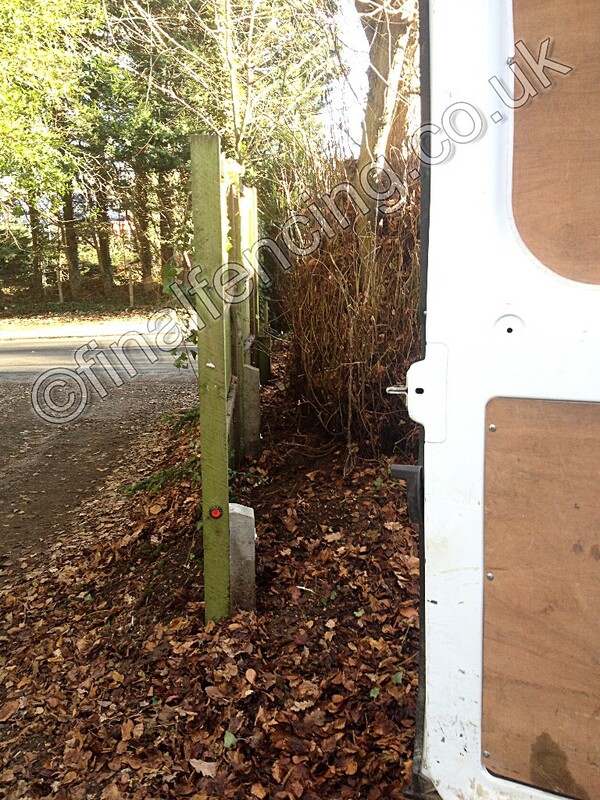 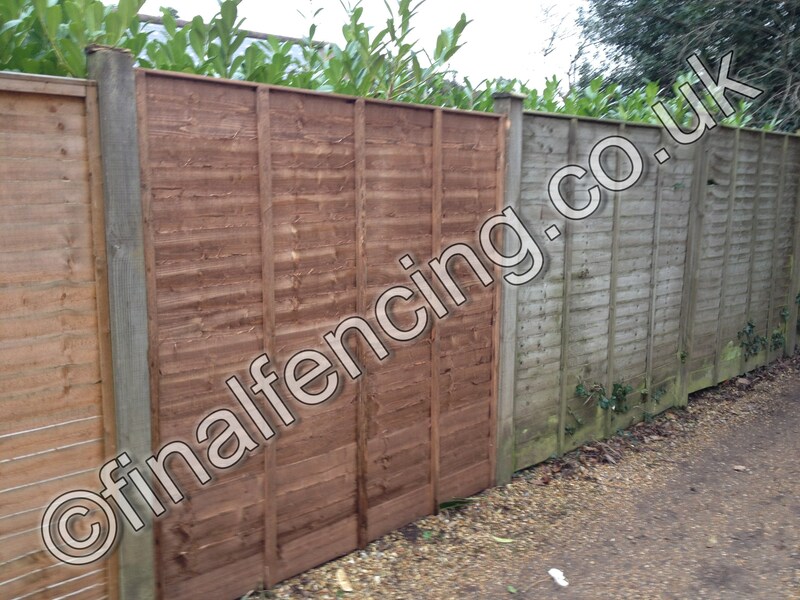 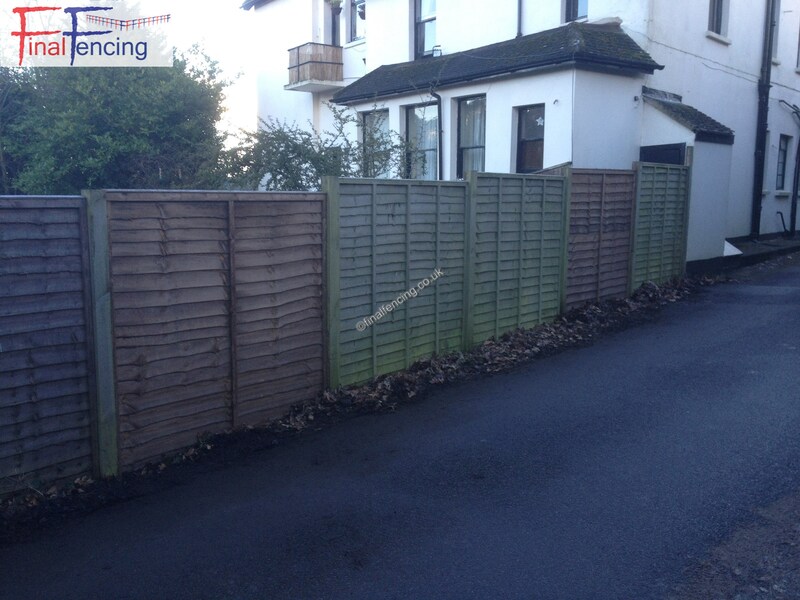 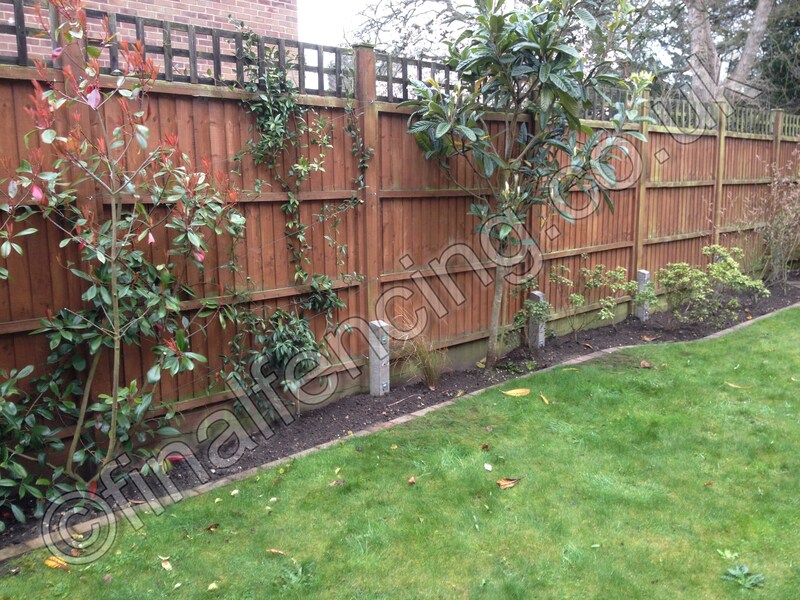 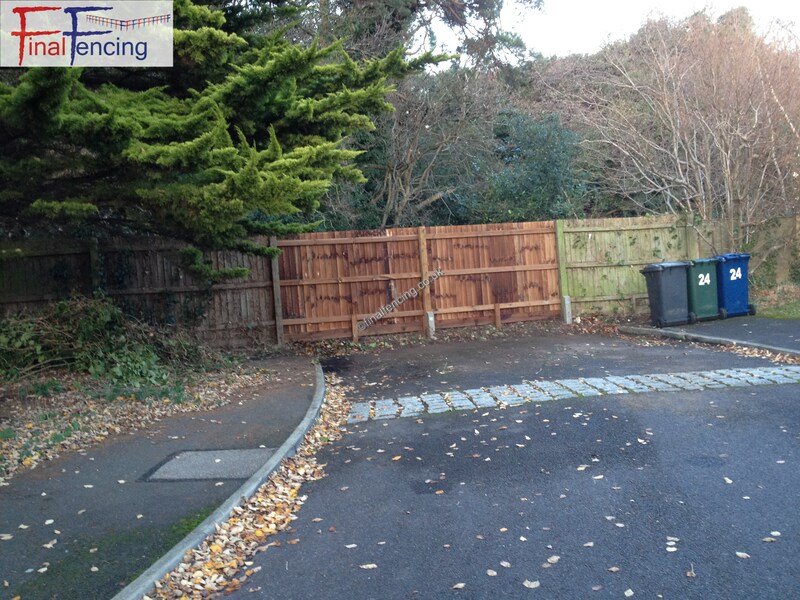 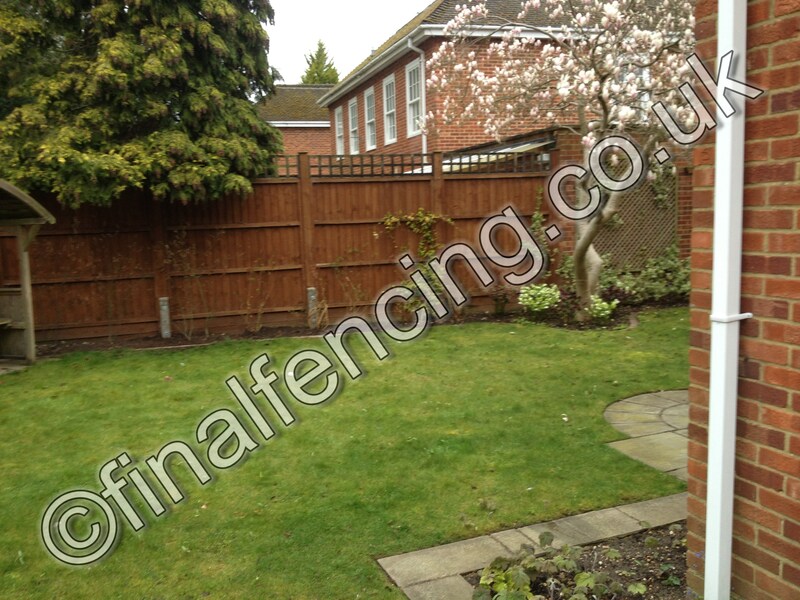 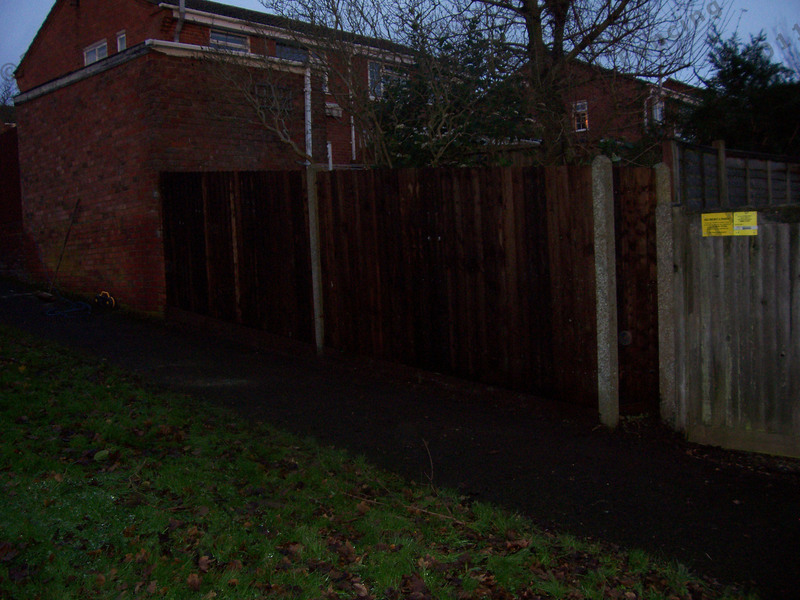 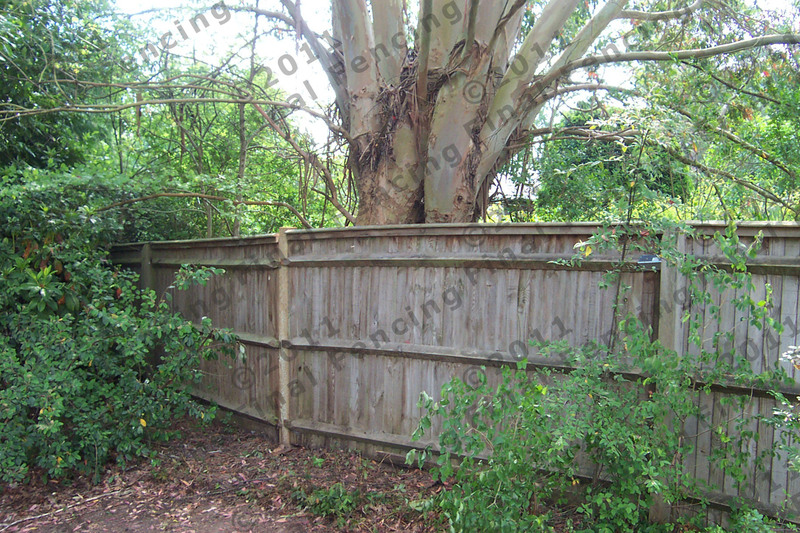 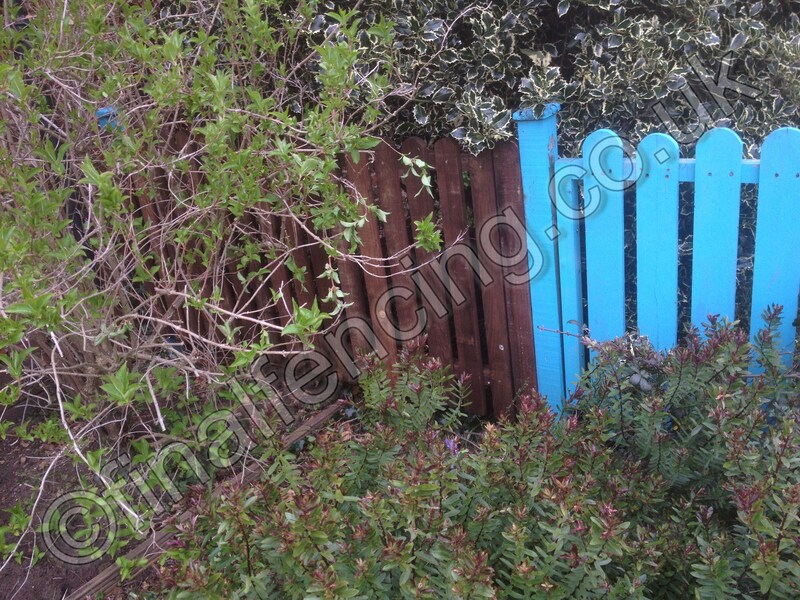 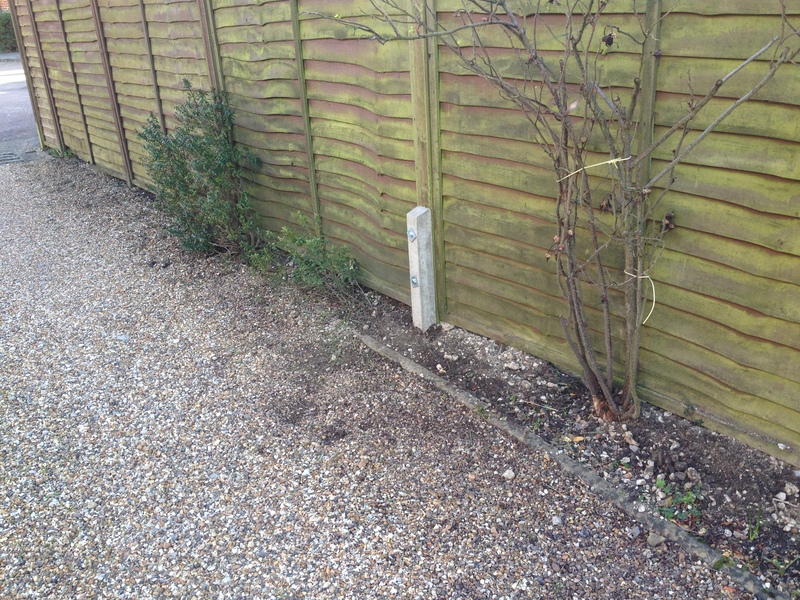 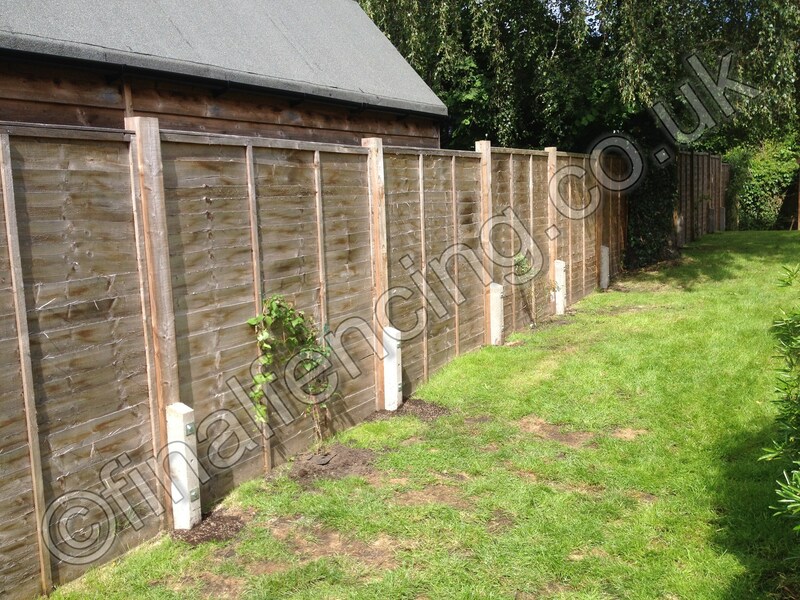 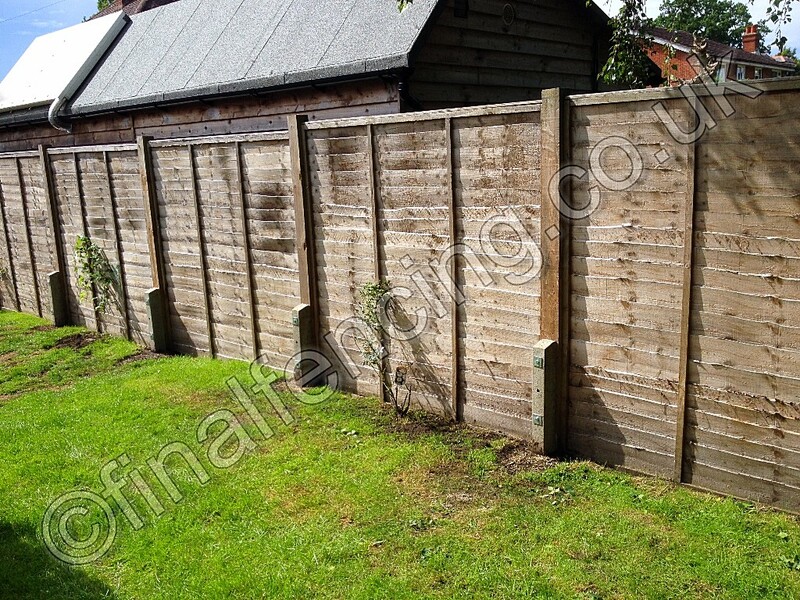 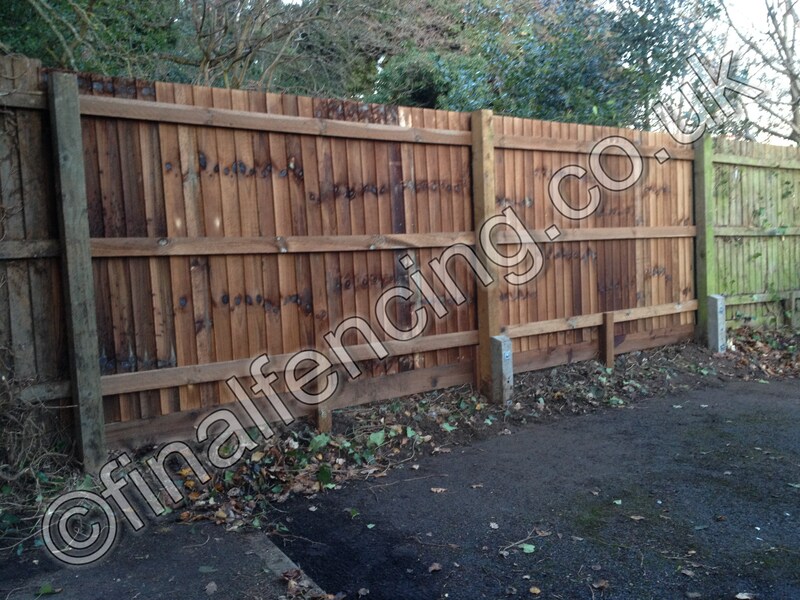 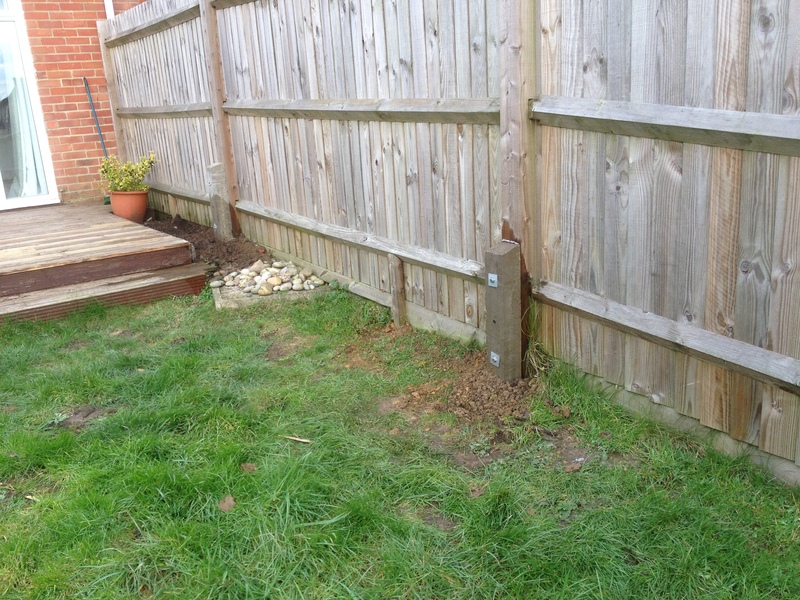 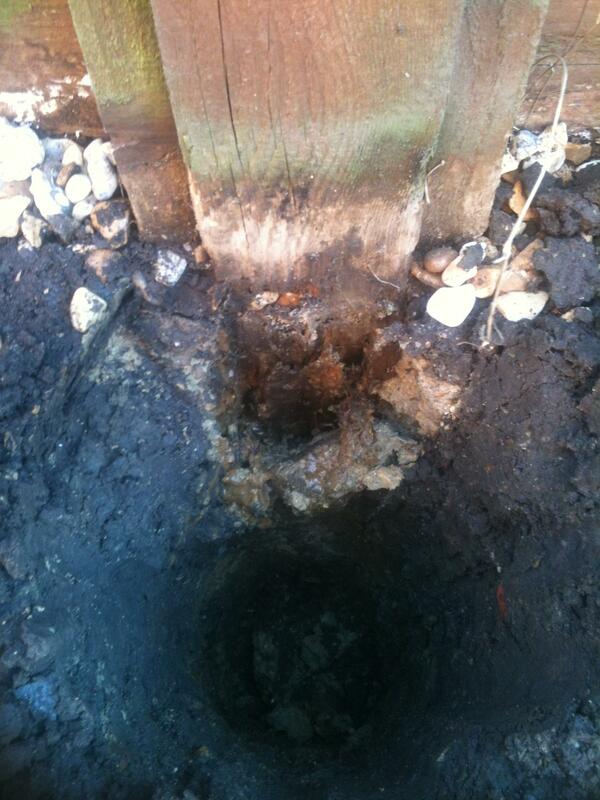 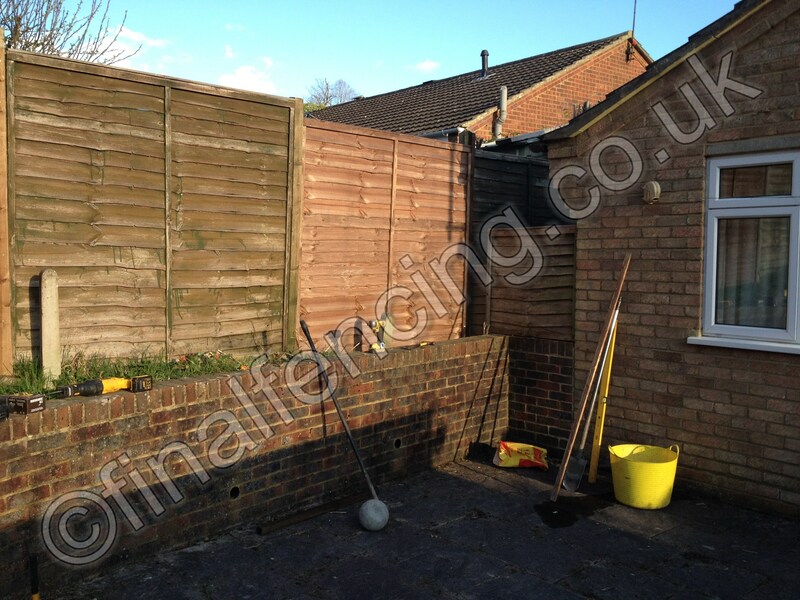 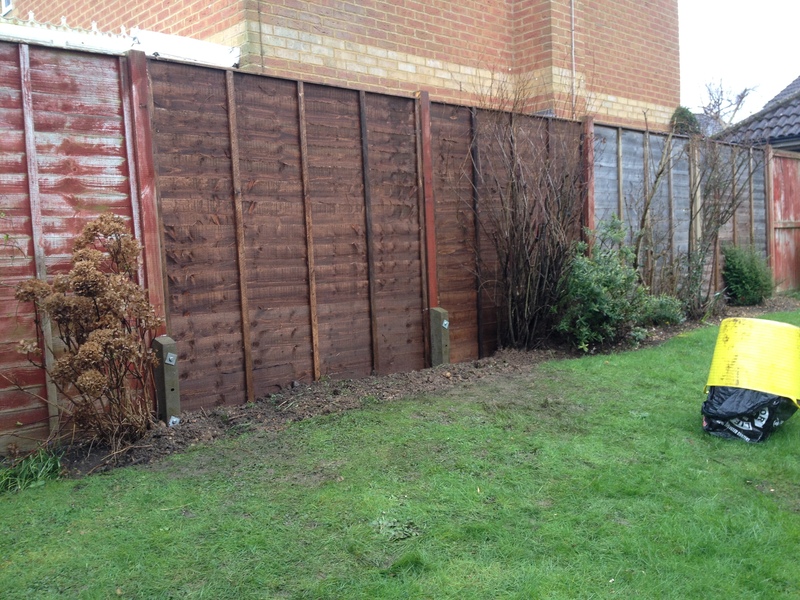 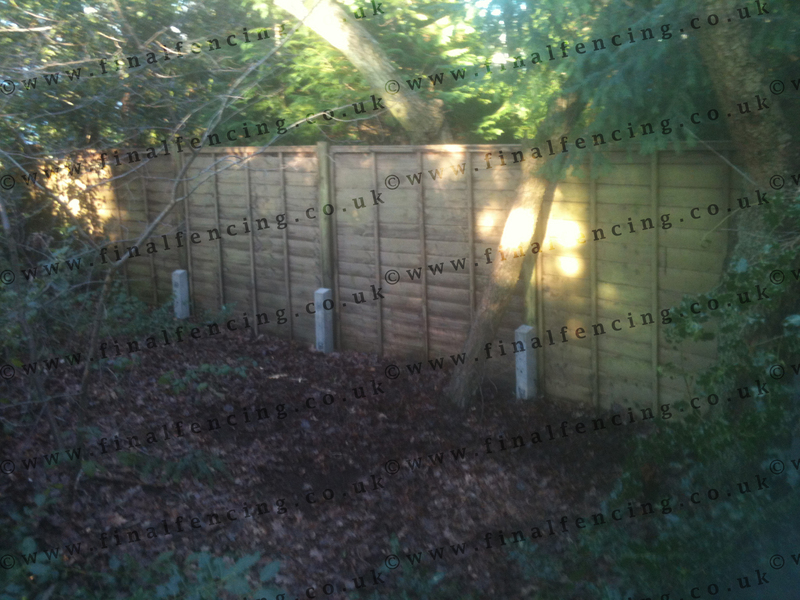 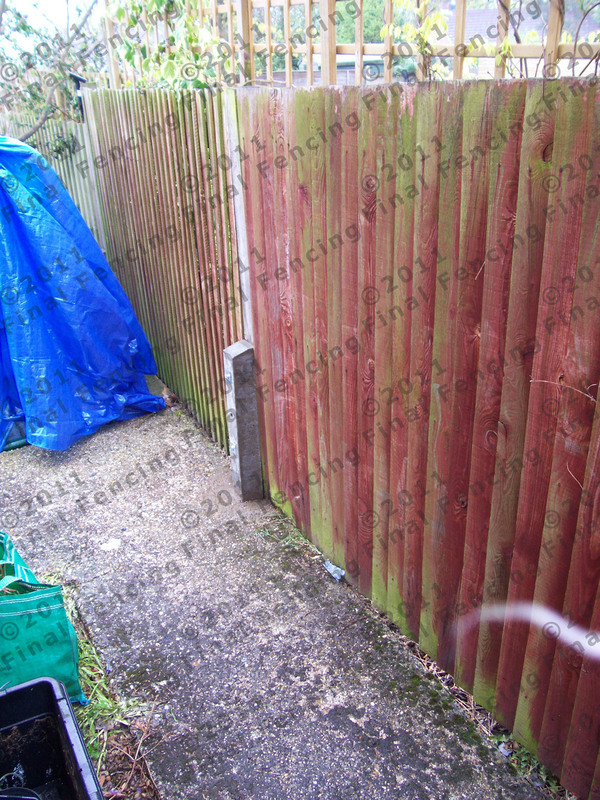 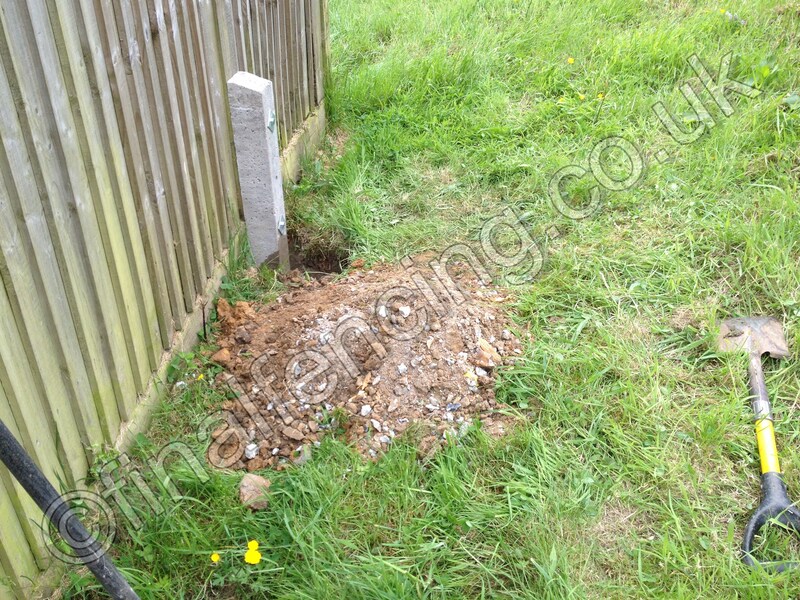 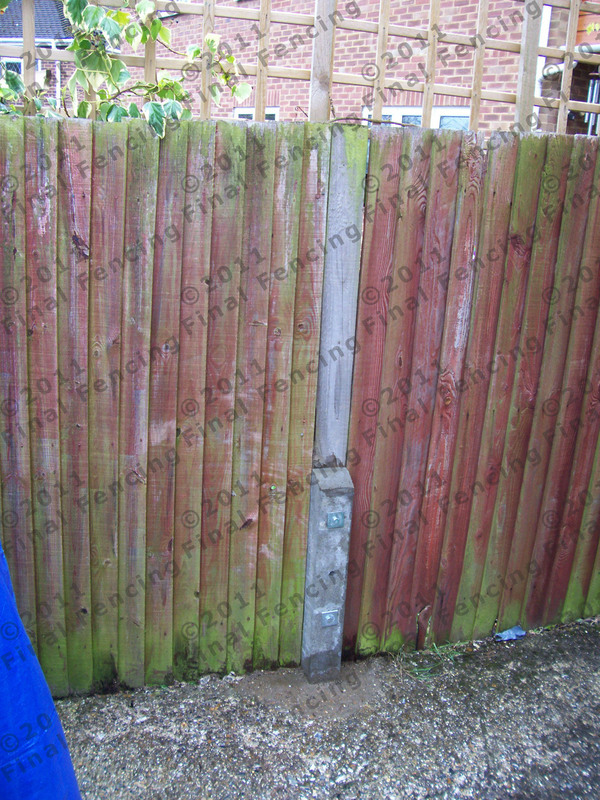 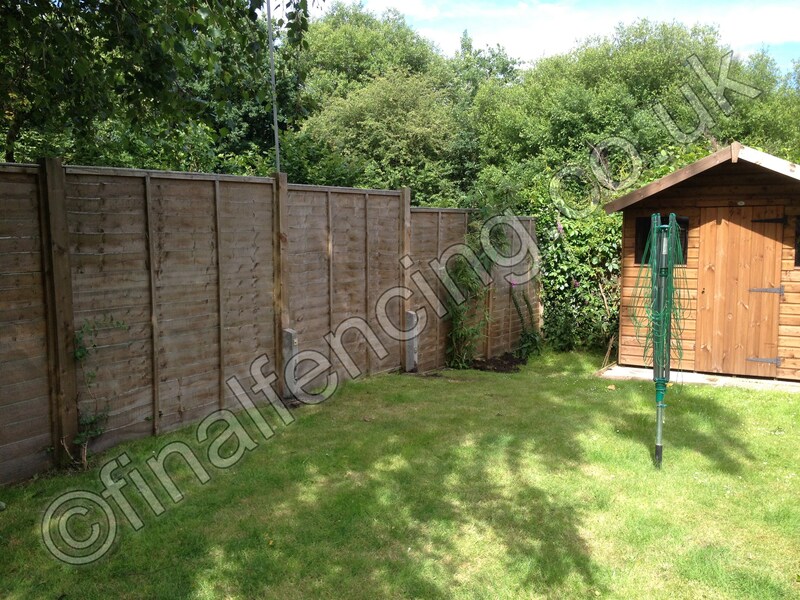 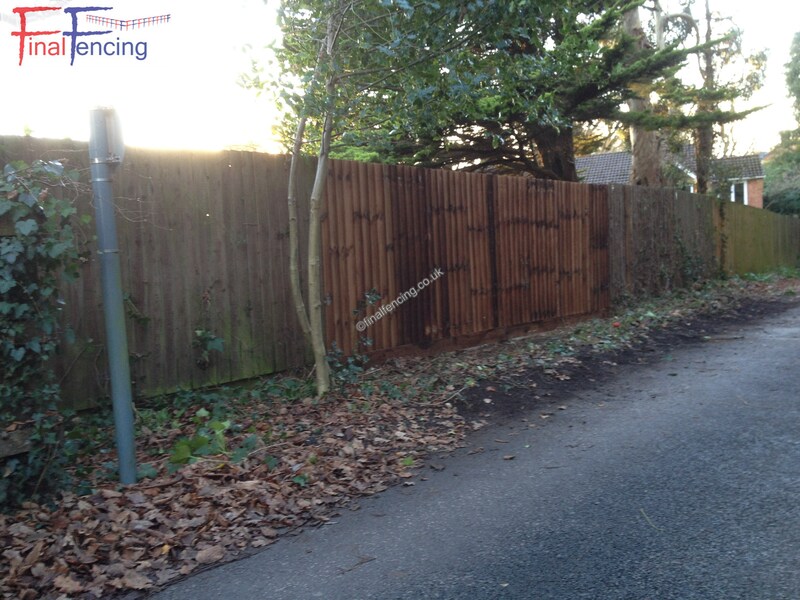 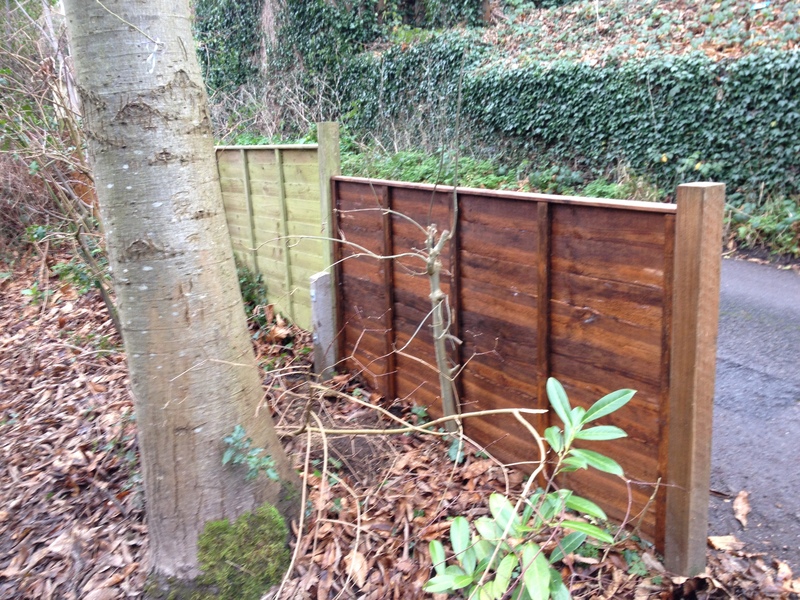 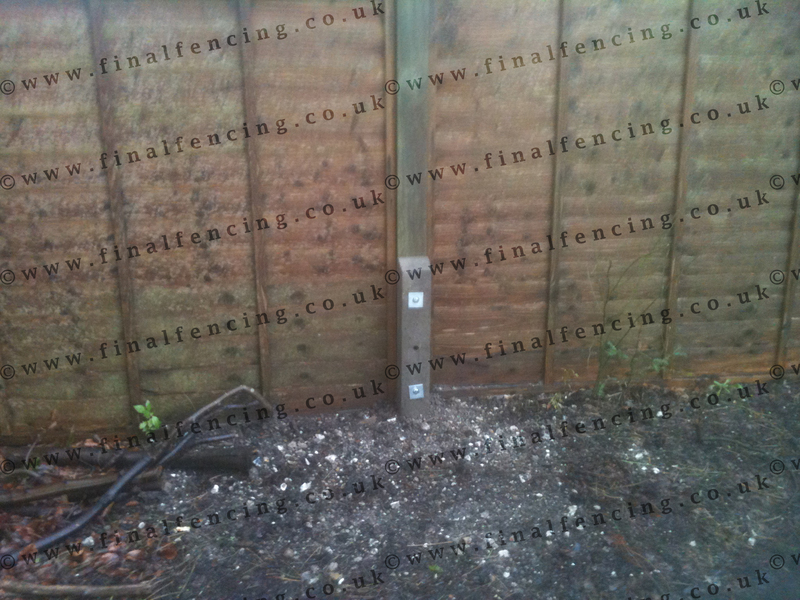 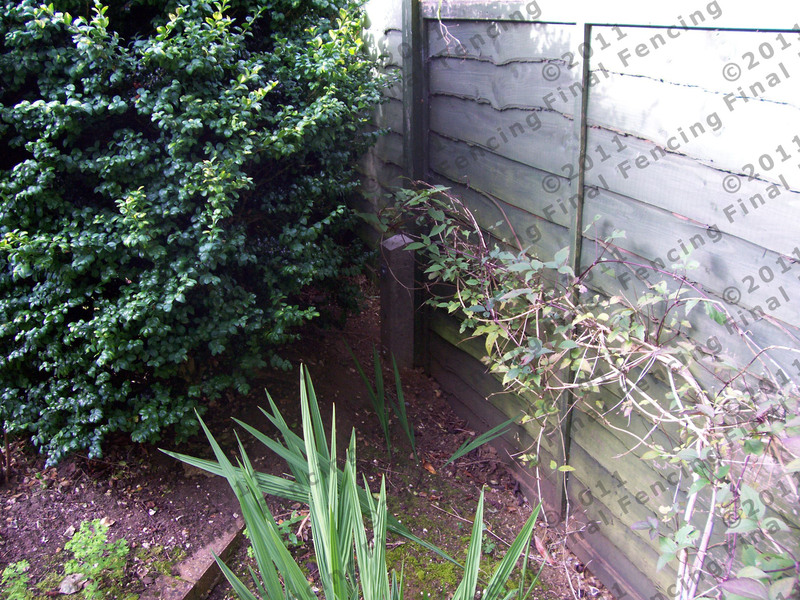 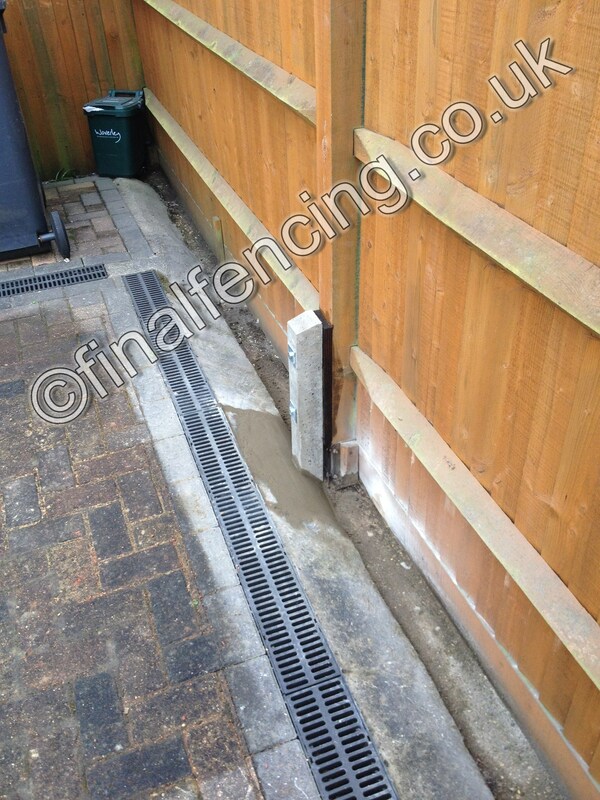 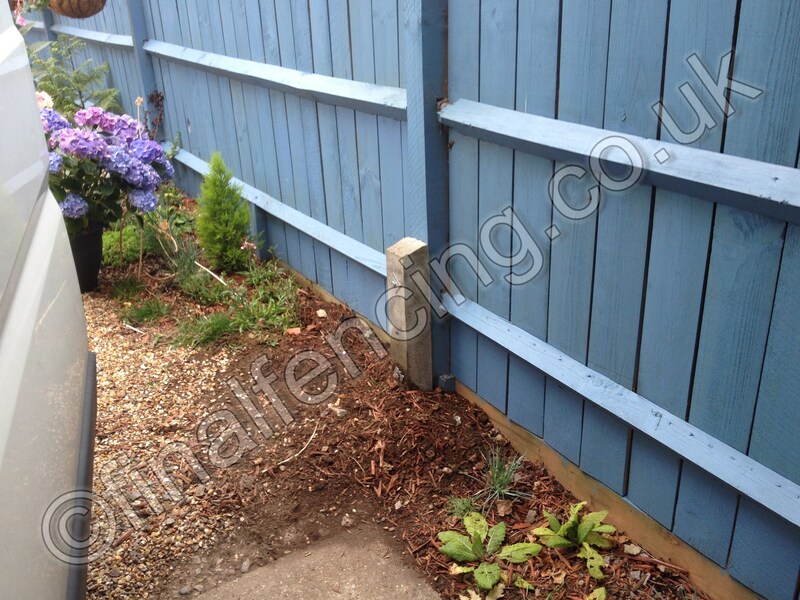 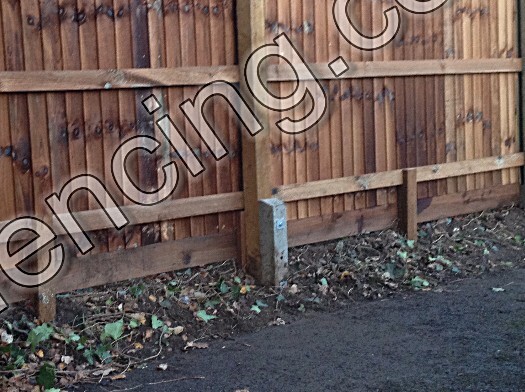 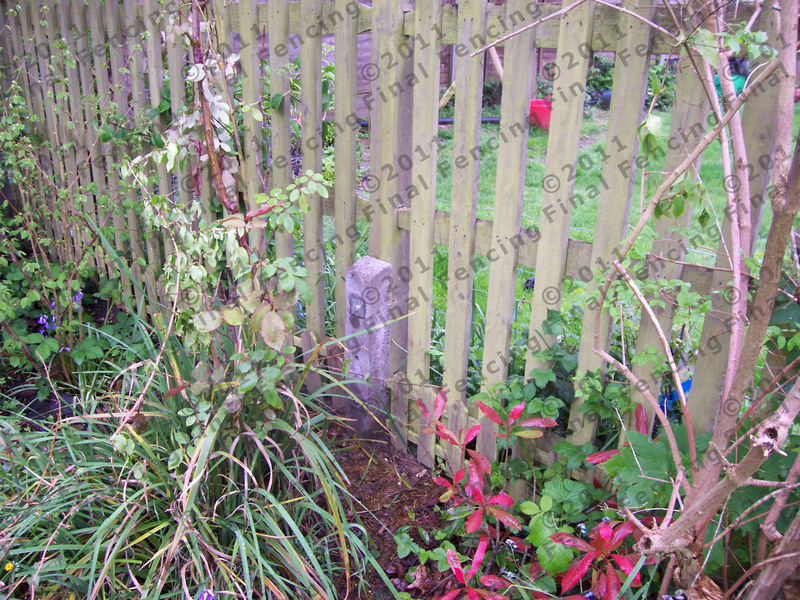 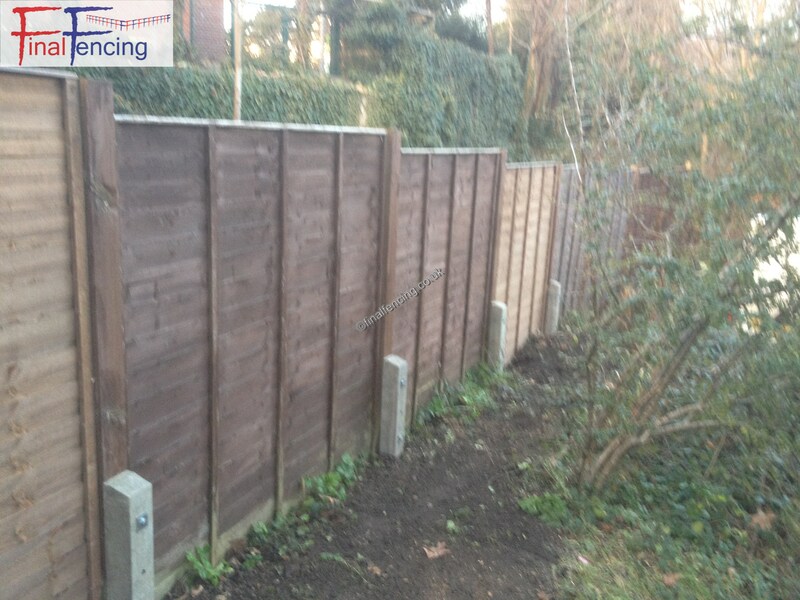 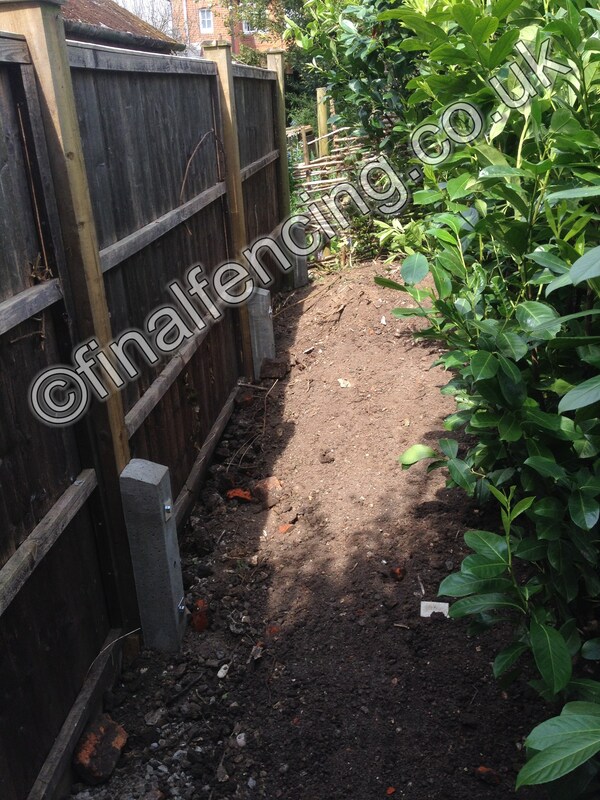 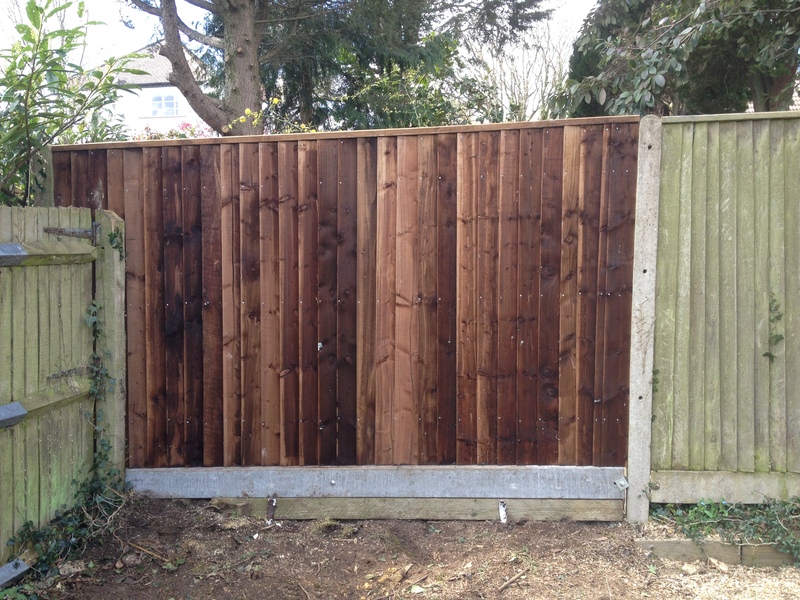 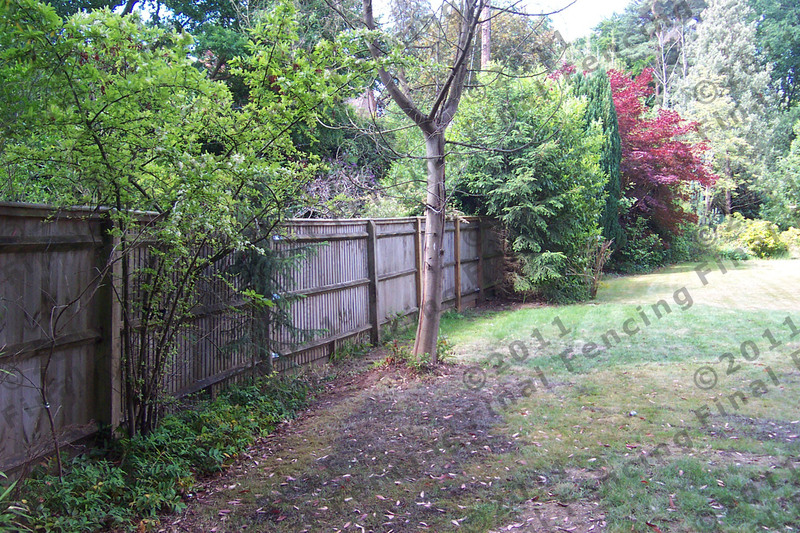 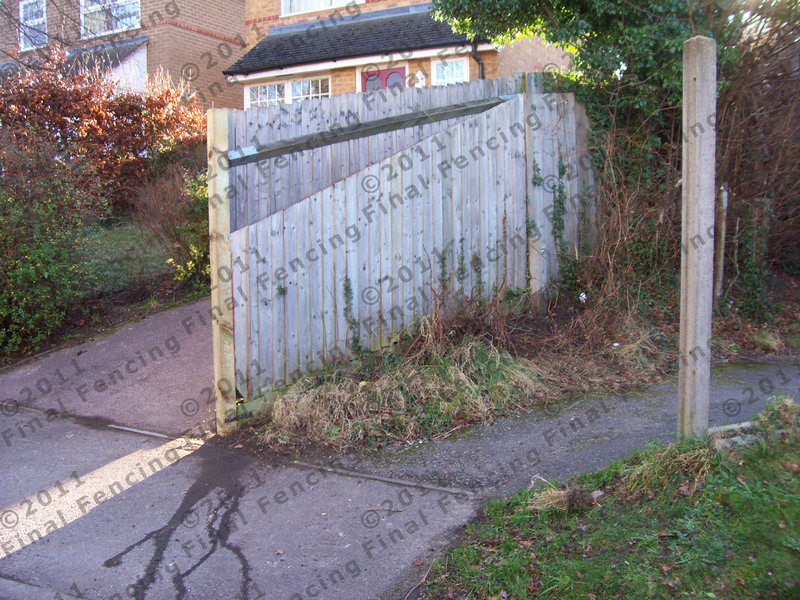 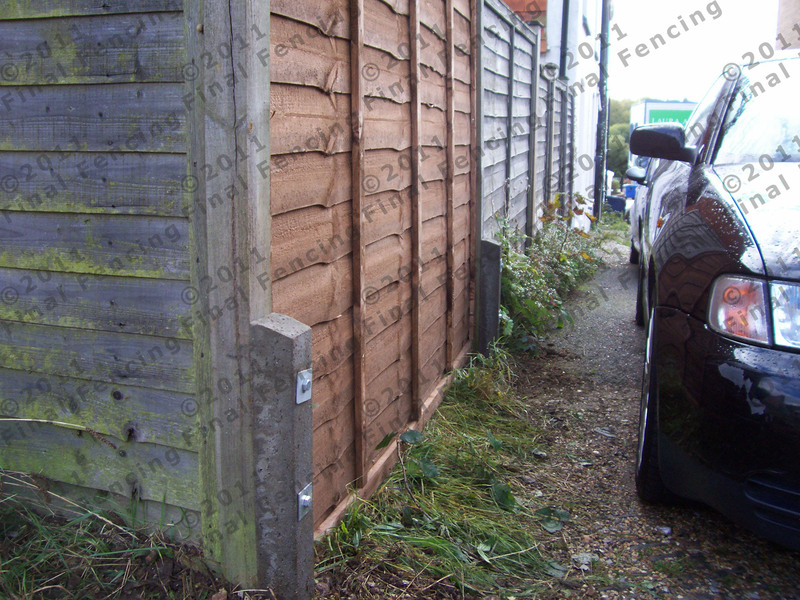 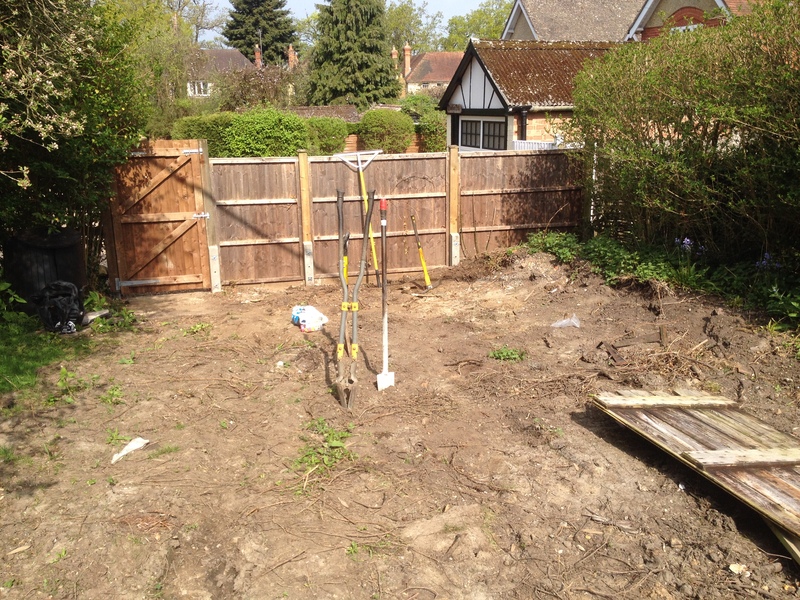 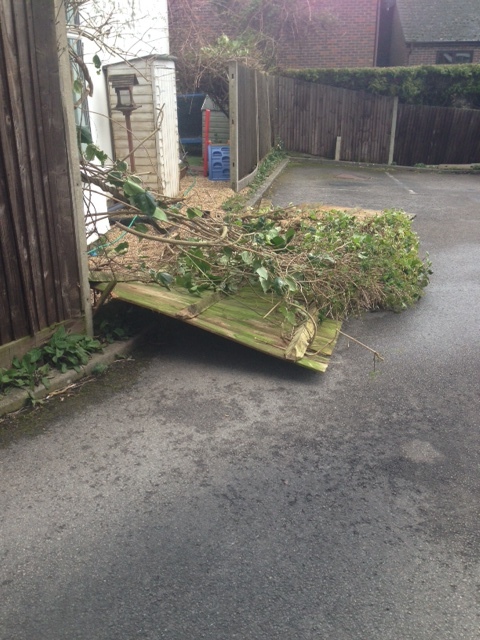 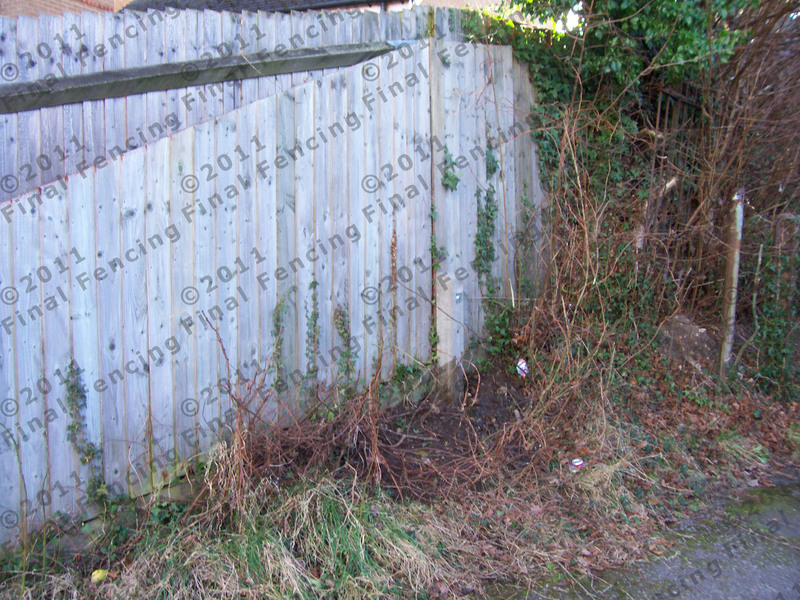 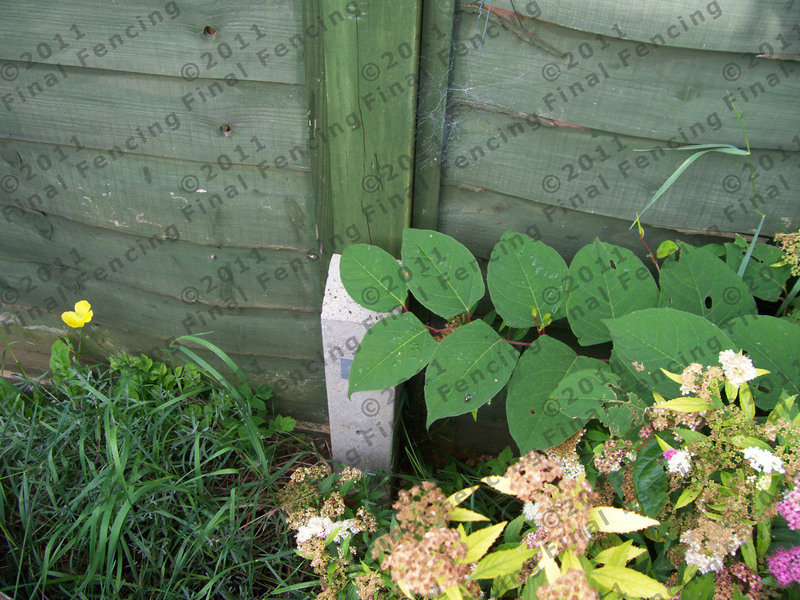 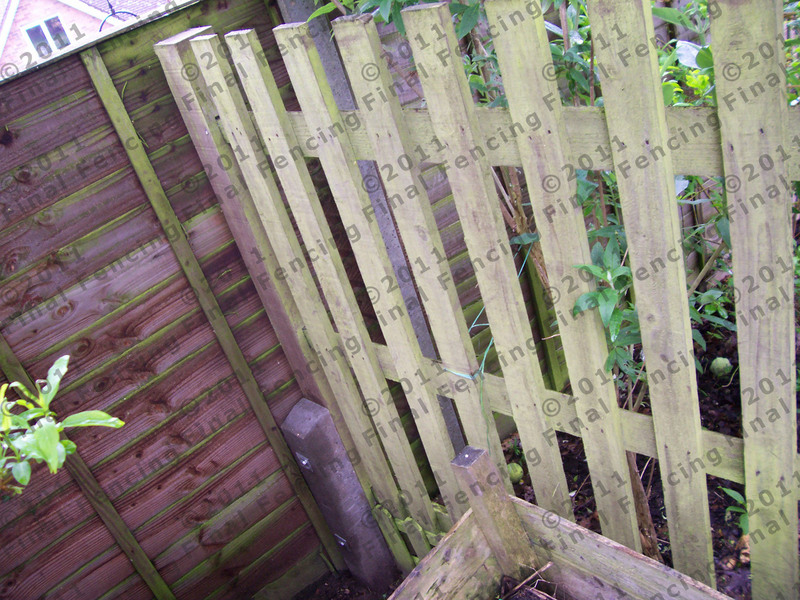 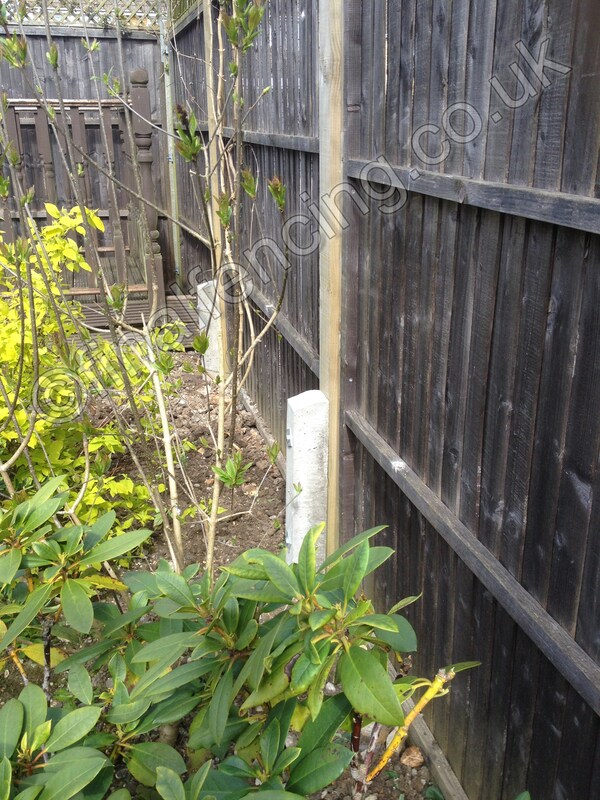 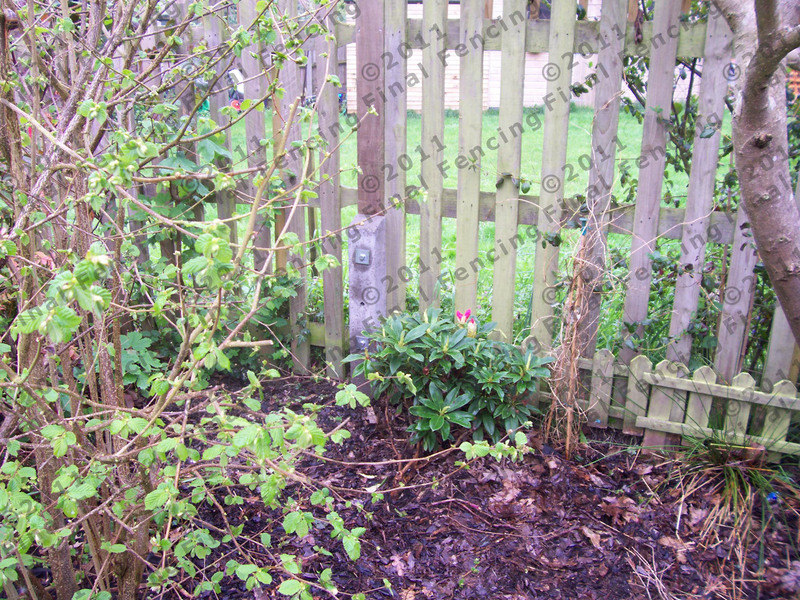 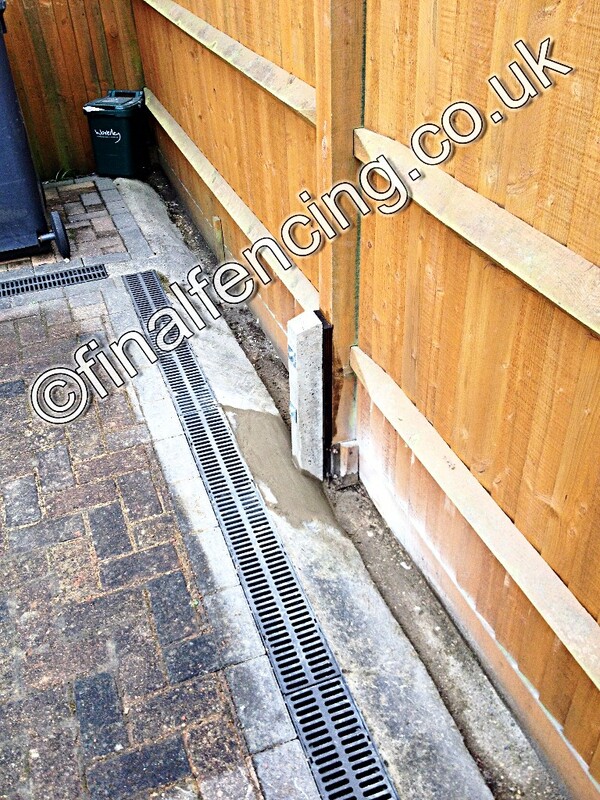 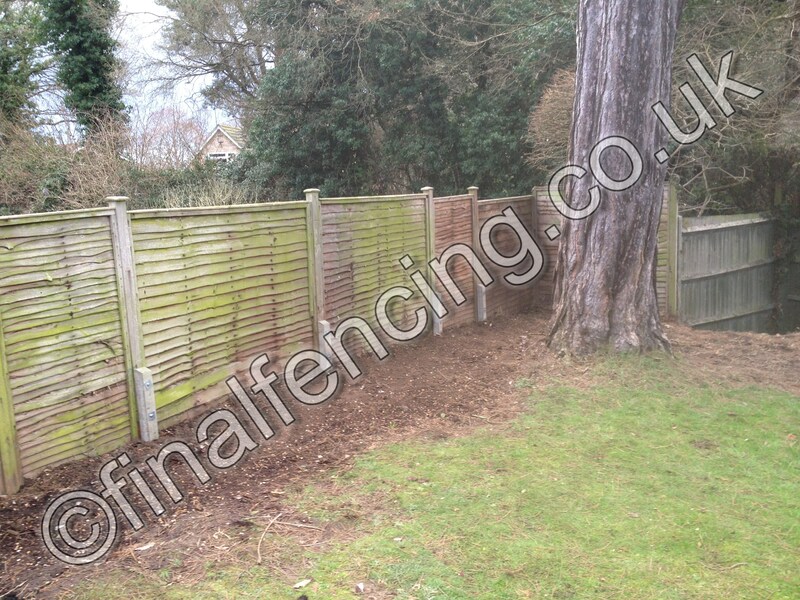 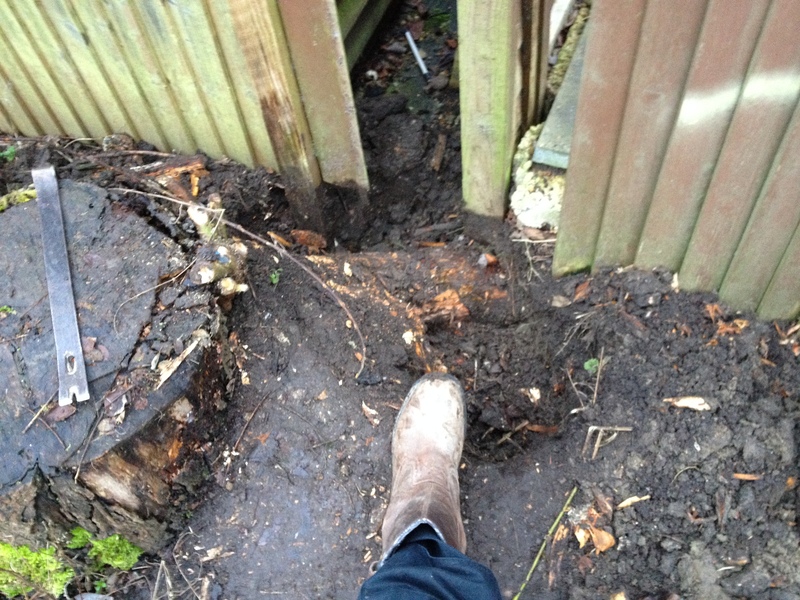 The most popular repair to a fence is to the snapped/rotten timber posts. 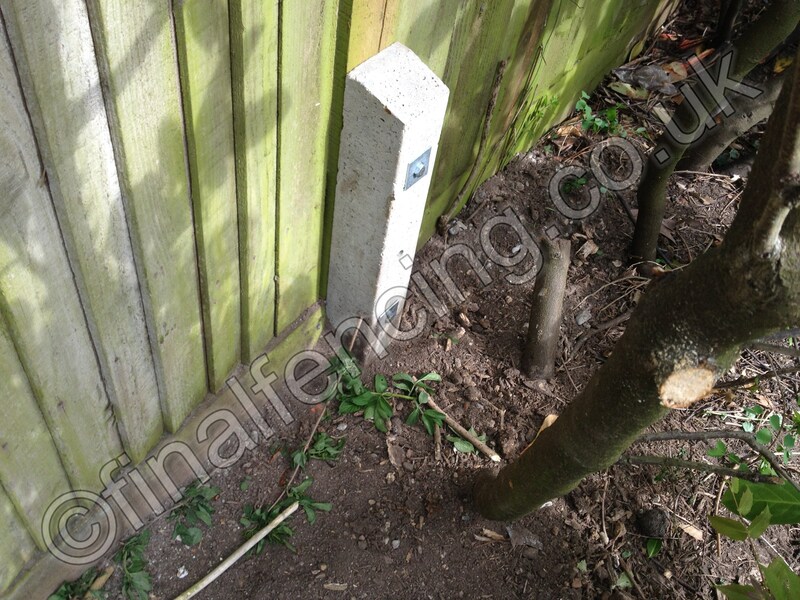 This is either a post replacement of a concrete spur or godfather. 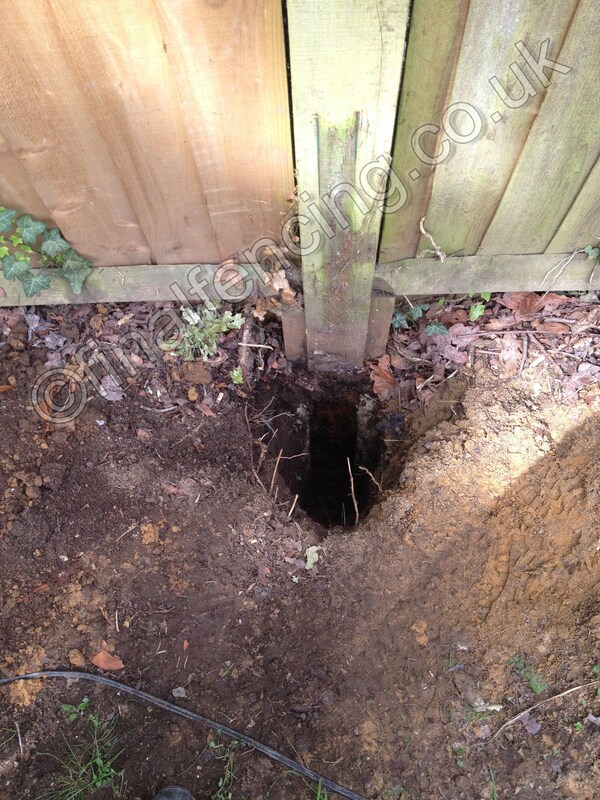 Spurs are an excellent choice when posts have rotted out within a few years. 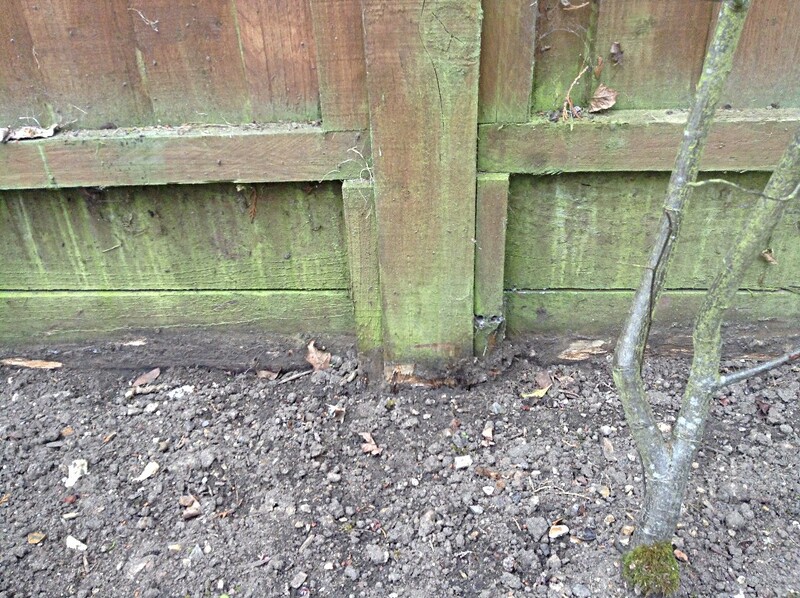 This means that the ground is either acidic or damp. 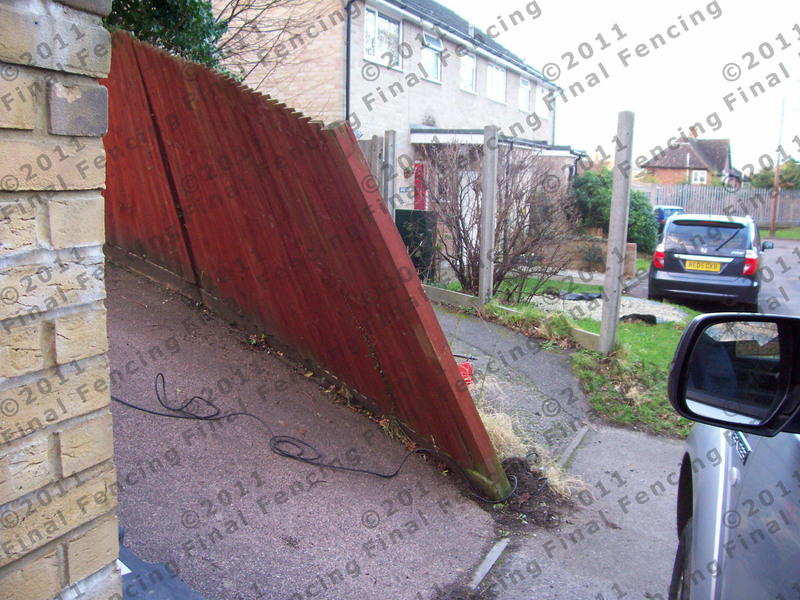 See below for the repairs that can be achieved. 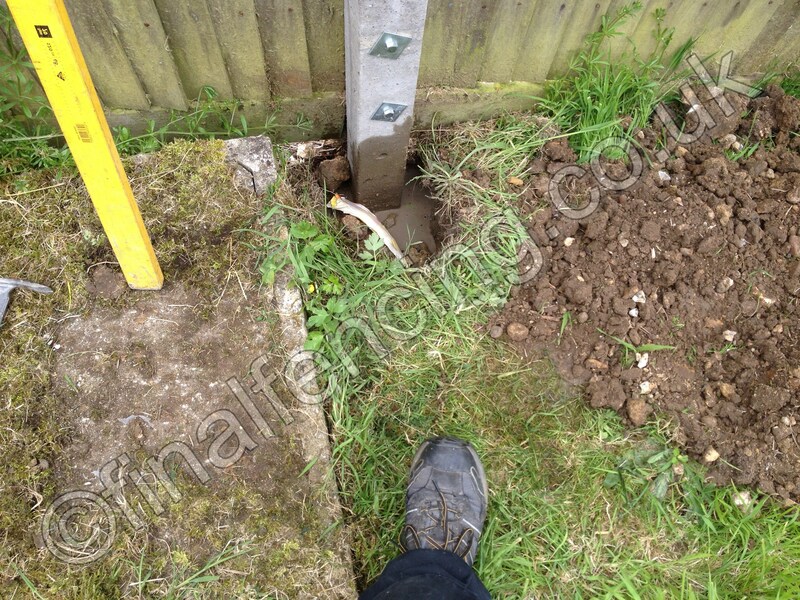 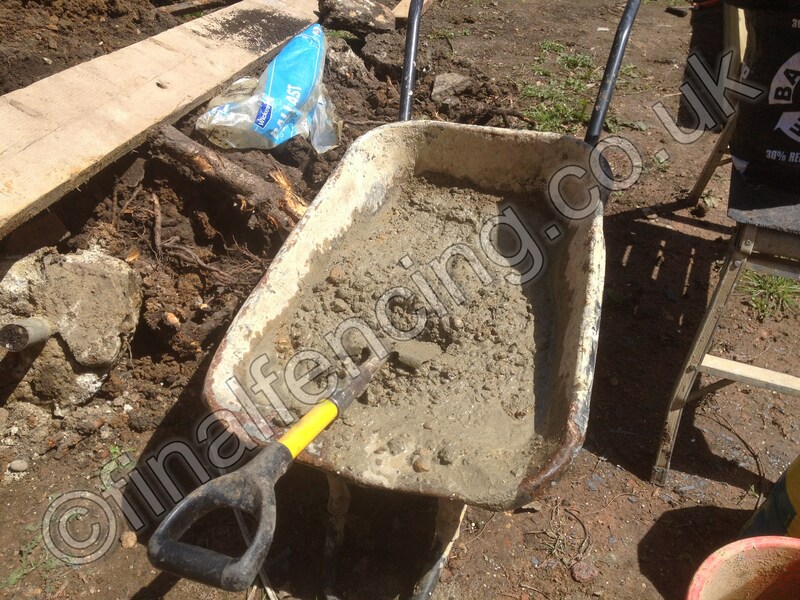 concrete repair spurs can often save a costly replacement. 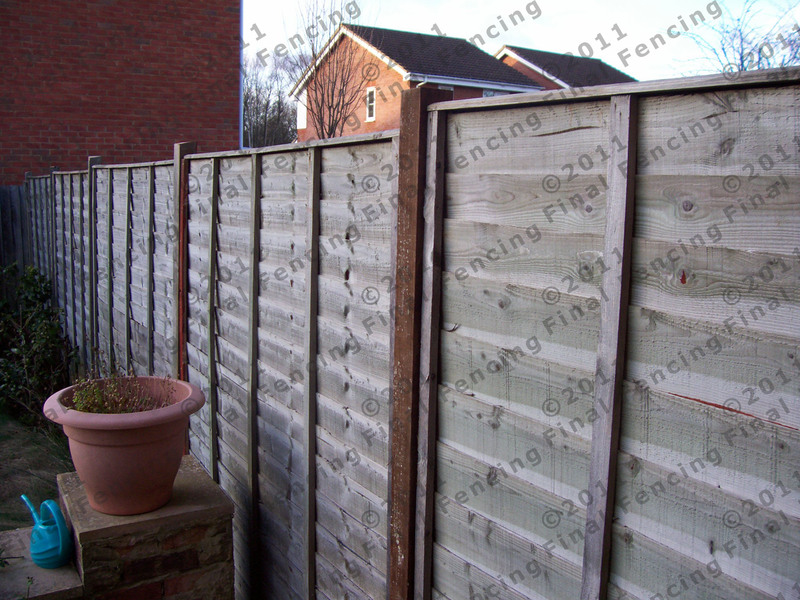 Other repairs can involve panel or even bay replacements. 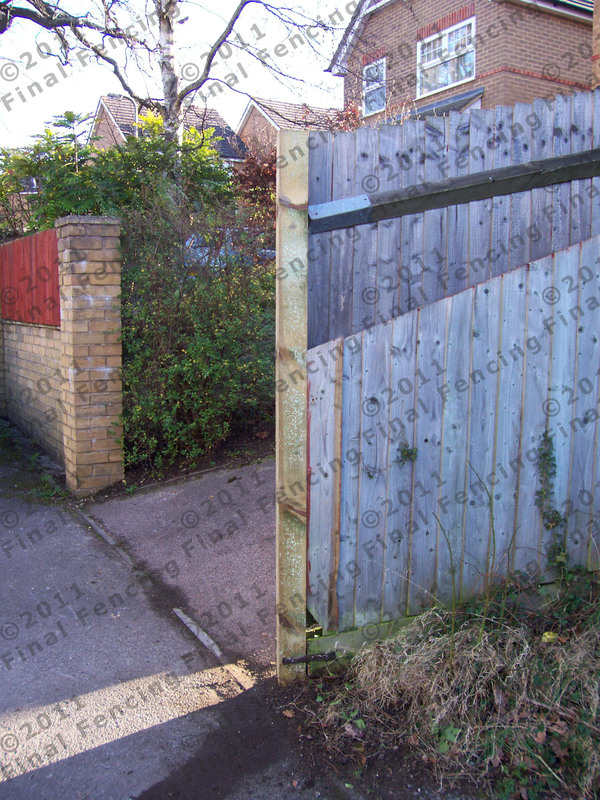 Sometimes just a new gate is required. 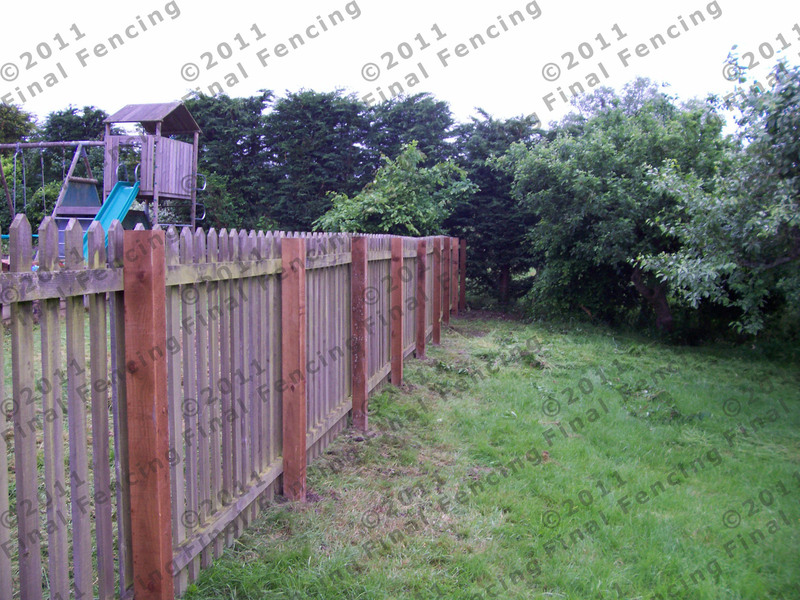 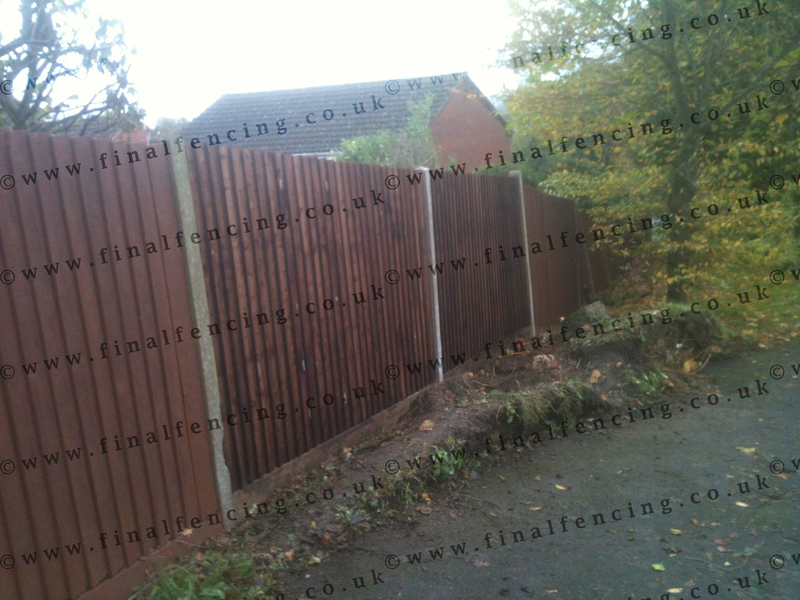 Let us mend your fence. 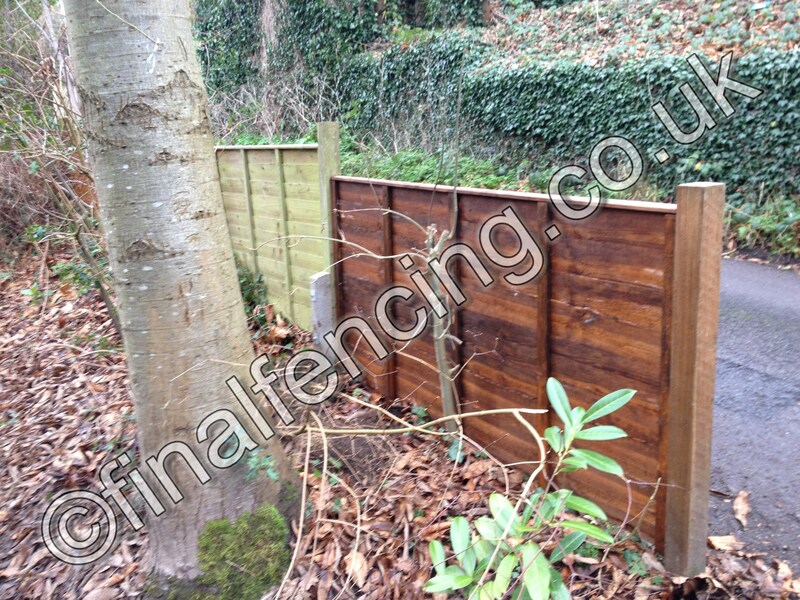 Matched picket fencing Just need paint.